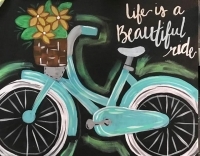 Join guest artist Julie in the creation of *Life is a Beautiful Ride*. Julie will walk younger by step in creating tour own canvas art. 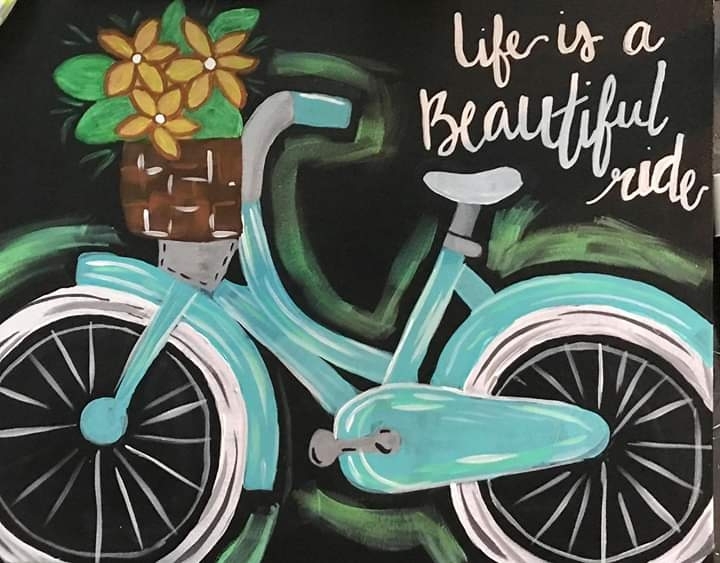 You choose your colors and create! This is a fantastic art night for beginner to advamced. Julie is fun, outgoing and makes you feel confident in your art! Ages 13 to Adult welcome. This is a non alcoholic event. Sign up on our website or at Painyed Color Ceramics.